The information presented on this page was originally released on October 20, 2011. It may not be outdated, but please search our site for more current information. If you plan to quote or reference this information in a publication, please check with the Extension specialist or author before proceeding. MISSISSIPPI STATE – Mind-boggling population numbers make the introduced hairy crazy ant a big, hairy problem in Mississippi. 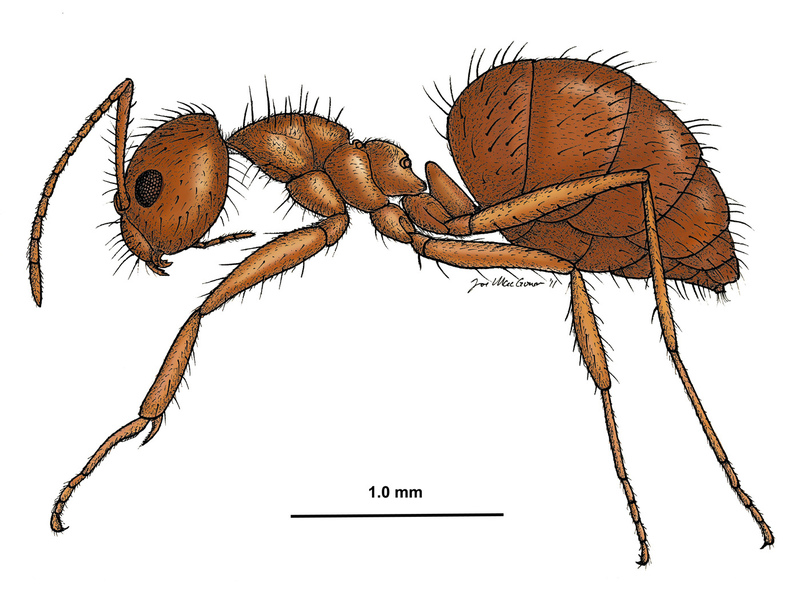 The ant, known scientifically as Nylanderia pubens, was first detected in Mississippi in 2009, but the earliest U.S. record is from Florida in 1953. It was not reported as a serious nuisance in Florida until 1990. It was detected in Houston, Texas, in 2002, where populations quickly spread to at least 18 counties. The ant is thought to have come from Argentina or Brazil originally and is now found in Hancock and Jackson counties in Mississippi. These tiny, orangish-brown ants are best identified by the way they run around very quickly and sporadically. Hairy crazy ants do not pose a medical threat to humans, as they do not sting, and their bites are insignificant. They cause problems because they have no natural enemies and displace native species, disrupting the natural ecosystem. Richard Brown, director of the Mississippi Entomological Museum housed at Mississippi State University, said invasive species, also called exotic species, are estimated to have cost the country about $120 billion. To date, the hairy crazy ants have been detected near bayous in Waveland in Hancock County and in Ocean Springs in Jackson County. These species usually nest outdoors but also infest homes, businesses and other structures. They appear to be attracted to electrical equipment, where large numbers of worker ants cause short circuits. The fact that they defy do-it-yourself control treatments actually led to their discovery. A major role of the Mississippi Entomological Museum is to identify unknown insect species. 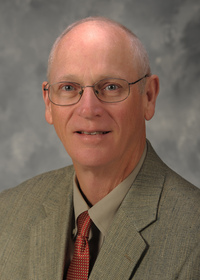 Brown said the museum has been able to detect many exotic species because of its involvement with the Cooperative Agriculture Pest Survey, funded through the U.S. Department of Agriculture’s Animal and Plant Health Inspection Service. The museum also cooperates with the Mississippi Bureau of Plant Industry and MSU research and Extension Service faculty. In addition to identifying insects submitted to the museum, the staff conducts basic insect research and numerous insect-gathering trips. One annual trip is the William H. Cross Expedition, a week-long collecting trip funded by an endowment in the MSU Development Foundation that honors the founder of the Mississippi Entomological Museum. “We are one of the most active museums in the country in field work,” Brown said. “Somebody on our staff is in the field every week collecting new samples. We’re actively involved in research and systematics of insects, such as describing new species and determining the classification and taxonomy of new species. “We are heavily involved in basic research, which doesn’t solve an immediate problem but provides the foundation of knowledge so when we do find a new pest, we have a way to associate that pest with its relatives,” Brown said. Although aggressive efforts are in place to monitor the introduction of non-native insect species to the United States, states with a coastline and international ports have a difficult task.